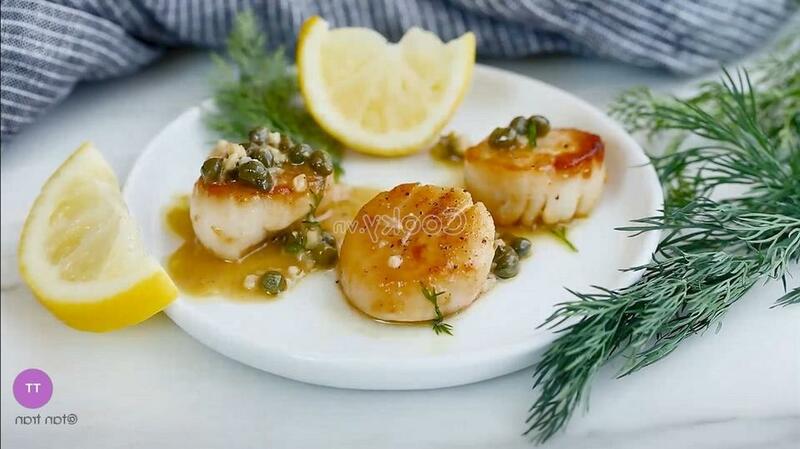 How to cook scallop with lemon sauce is a great recommendation to make our meal more attractive. 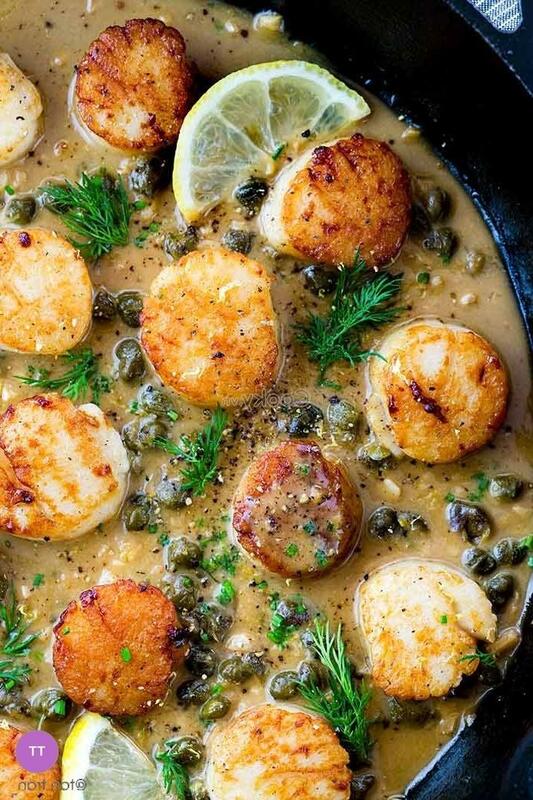 Especially at weekend, our meal will become much greater with this new taste of the dish. 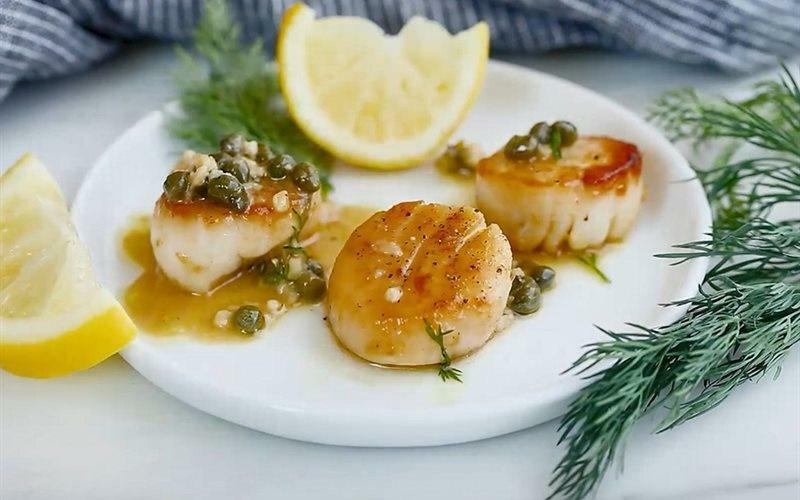 Also, scallop with lemon sauce is a good alternative for meat to provide us with protein. 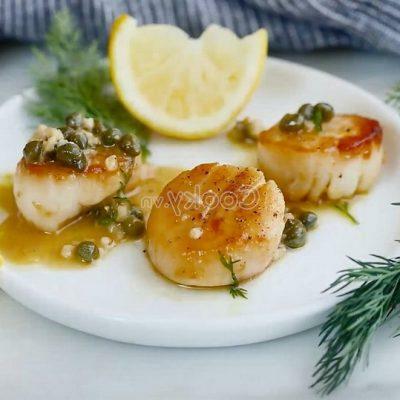 Besides, the recipe of how to cook scallop with lemon sauce is not difficult, we can also cook it for our party. 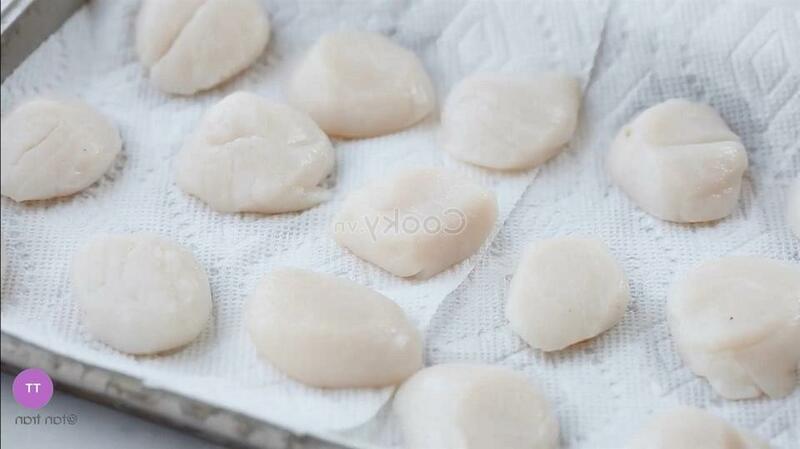 Add 50 grams of salt and hot water in a large bowl, then add ice cubes and stir them finely. 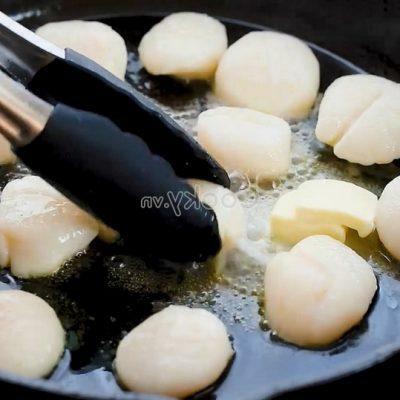 Next, add scallop meat into the bowl to soak in 10 minutes. 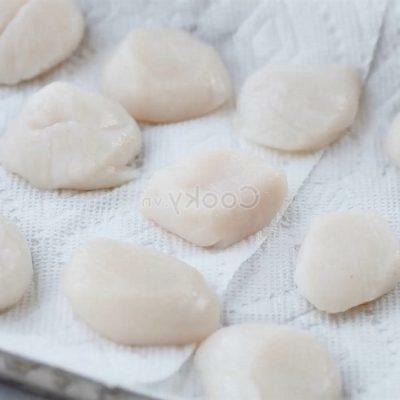 After that, take them out and use tissues to absorb water from the scallop meat. 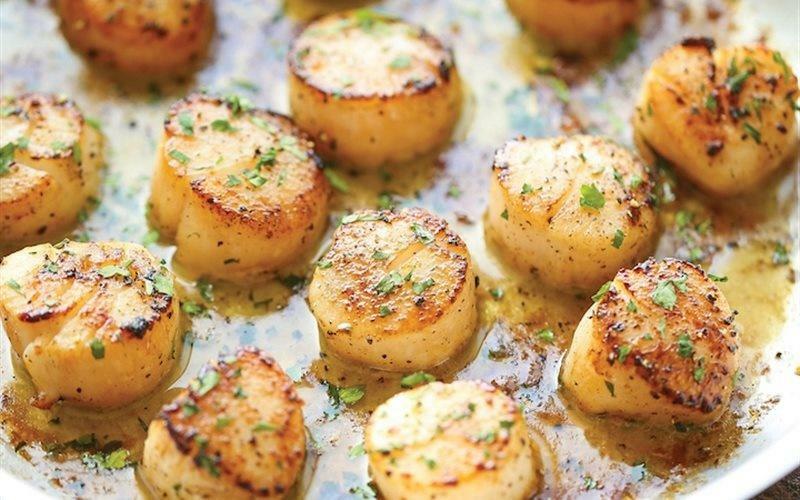 Let them at the room temperature in 10 minutes before cooking. 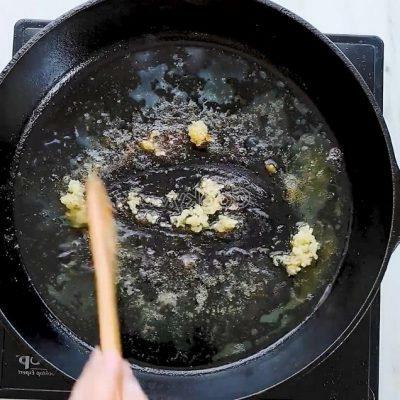 Heat up cooking oil in a pan. 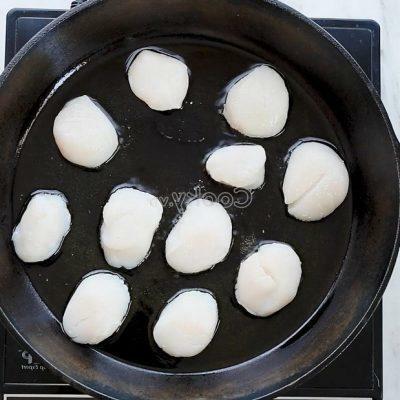 Sprinkle salt onto the scallop meat and then fry them. 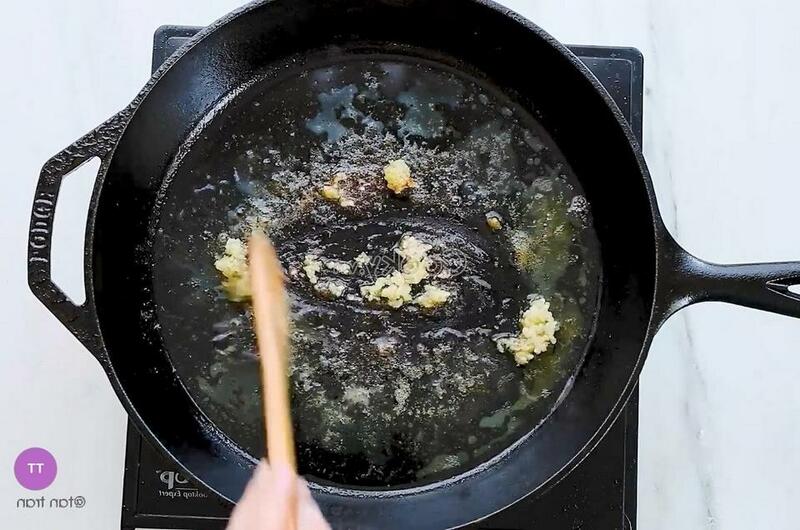 Next, add a tablespoon of peanut butter into the pan and continue to fry them until their color turns yellow. Take them out and set aside. 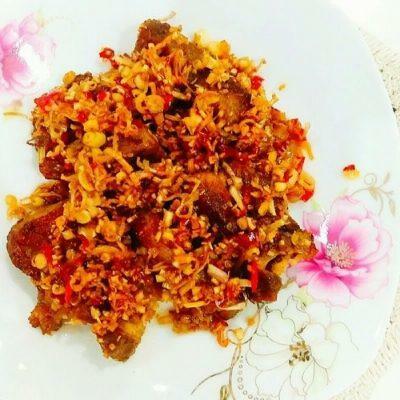 Use the pan to stir-fry chopped garlic and then pour 50 milliliters of wine into the pan to cook in 3 minutes. 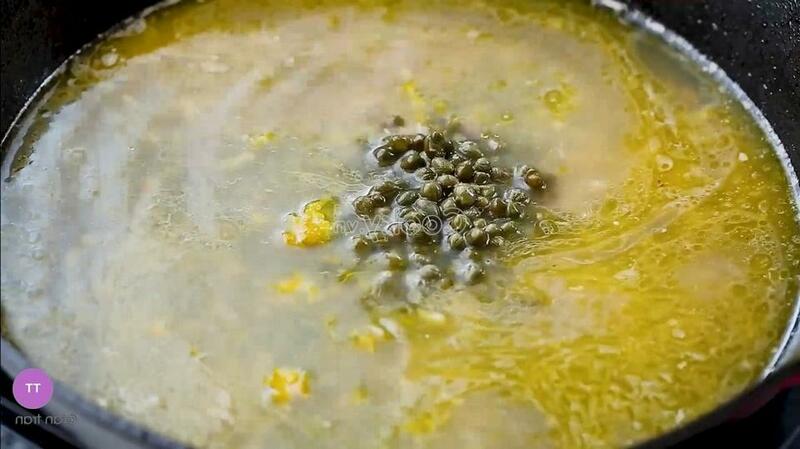 After that, pour chicken broth, lemon juice, and caper seeds into the pan and cook in about 10 minutes. 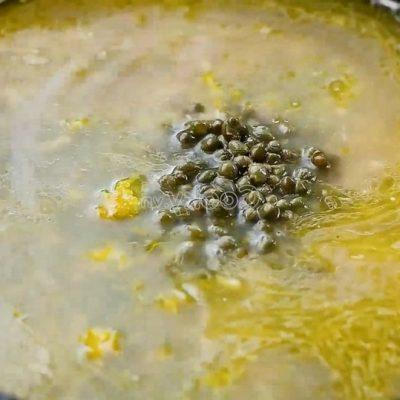 Turn off the gas stove and add mustard into the pan. 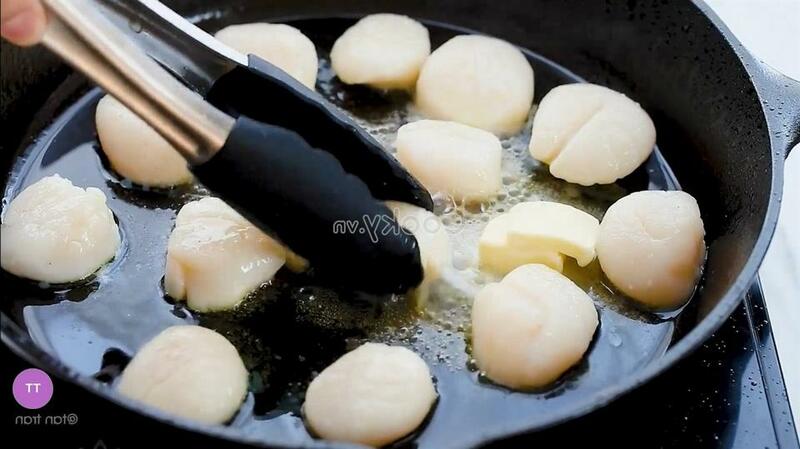 Stir them finely. 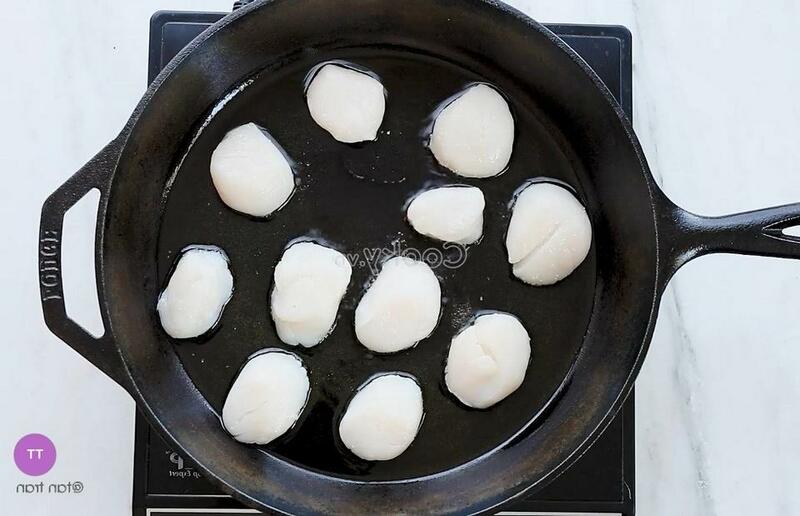 Then, turn on the gas stove again and add scallop meat into the pan and cook. Also, sprinkle chopped chives. 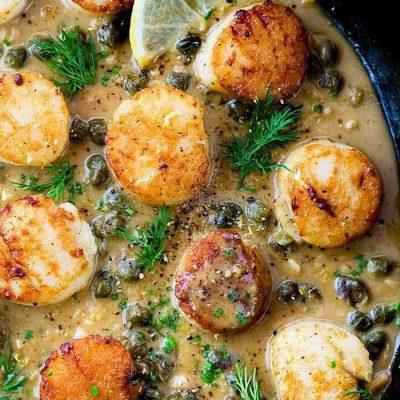 Then, turn off the gas stove. 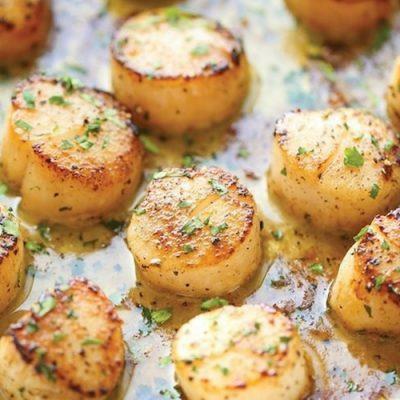 Take scallop meat out and pour lemon sauce. 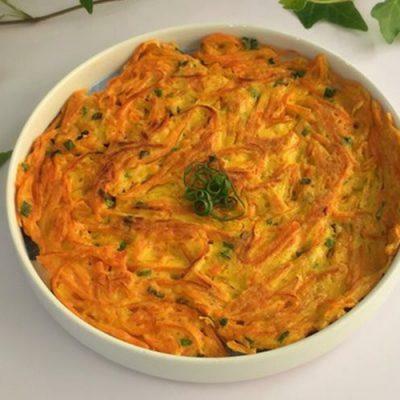 Having them served with hot cooked rice or bread is also great.